Did you know, more than 25% of heat lost within your home typically escapes through old windows? The windows installed in a home can make a huge difference on the overall warmth of a property, and with more and more households looking at ways to save money on their energy bills, a question we’re often asked is just how energy efficient are replacement windows? When new energy efficient windows are installed properly, they help to reduce the overall heat loss from your home and your carbon footprint. However, old, inefficient windows can become a main source of heat loss and draughts, meaning you’ll probably be spending more on your heating bills. That’s why, when replacing your existing windows, it is so important to make sure that they are energy efficient. Replacement windows have to meet building regulation requirements for energy efficiency, measured either through a U-Value calculation or a Window Energy Rating (WER), with a rating scale of A-G, with A being the highest. 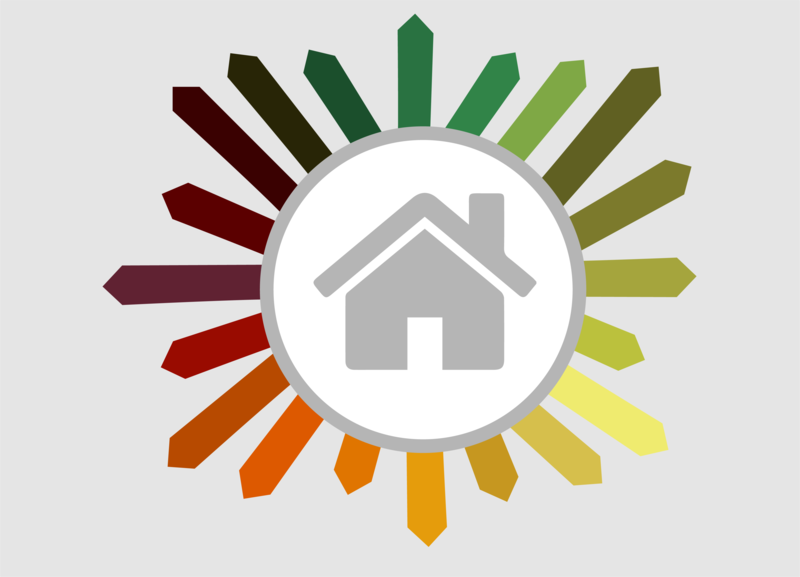 Window Energy Ratings were introduced to help select the right windows for your home, by comparing the energy efficiency of the different window products. Currently, under building regulations, replacement windows must either be window efficiency rated to a minimum of ‘C’ or have a U-Value of 1.6 W/m2K or lower (lower U-values are better as it relates to the rate of heat flow). A ‘replacement window’ means that both the frame and glass are replaced at the same time, as a complete installation. WERs use a simple system to calculate the thermal efficiency of windows by taking into account U-Values, solar heat gain and air leakage of a window. A window is made from several aspects, including the frame, glass and spacer bar between the panes of glass. All of these have different thermal values, so the WER is measured by combining all these aspects together and calculating a whole window energy rating. Building regulations were first changed in 2002 to incorporate thermal performance for replacing windows in homes. This prompted the development of Window Energy Ratings, and there are now thousands of window installers and products that are registered with a WERs scheme, making it easy for you to choose the most energy efficient windows for your home. Window Energy Rating Schemes, such as our Thermal Rating Register, were established to create an easily recognisable tool that measures the Window Energy Ratings. The Thermal Rating Register rates the energy efficiency and thermal performance of the window installation using an easily recognisable, traffic light style, A-G scale, like you find on fridges, freezers and washing machines. The higher the rating, the better the overall thermal efficiency, helping to save money on energy bills and reducing the home’s carbon footprint. Window manufacturers use the Thermal Rating Register to show homeowners how efficient their windows are. Each window that is rated using the Thermal Rating Register is given a unique label which shows the energy rating level, so you can easily compare and choose the most energy efficient windows for your home. These labels are usually displayed with the paperwork that comes with the window and can be viewed online too, for easy access. Whilst your windows may have high window energy ratings, and a low U-Value, they need to be installed properly too. Poorly installed windows massively contribute to heat loss, cold spots and draughts in a property, making it a key that energy efficient windows are installed correctly, by a skilled and certified tradesperson. The Thermal Rating Register scheme is designed to show that your windows and the completed installation is compliant with building regulations, so you’ll receive energy efficient windows, and a quality installation. Window installers that are registered with any of our glazing schemes can voluntarily join the Thermal Rating Register scheme, so that they can provide all of their window installations with WERs labels. This means that by choosing a Certass certified window installer, you’ll get a product that has the right thermal performance features that meet building regulations, and a quality installation by a skilled tradesperson too. We’ve made it easy to find a Certass certified installer that can supply and fit your energy efficient windows, with our online directory. Simply search your address and it will display a list of certified installers that are nearest to you.